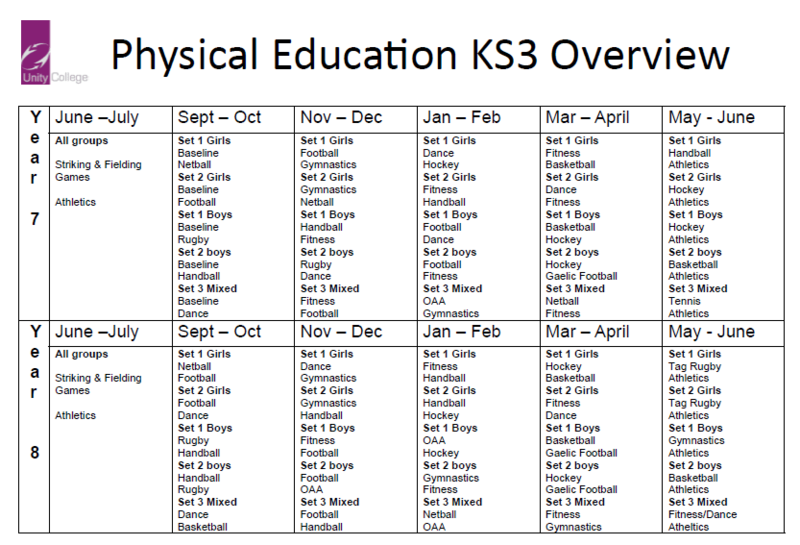 Students undertake a broad and balanced programme of PE across Key Stage 3. They acquire and develop skills in a variety of games, athletics, outdoor education gymnastics and dance. Students develop their own warm-ups and cool-downs and identify the fitness components that are important for each activity area.